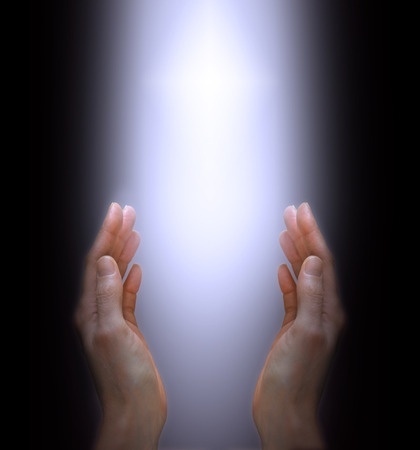 In this Seeking Source Saturday, we will discuss Dr. Joe Dispenza’s explanation of how intentions manifest based on his cutting edge work in consciousness. Dr. Dispenza’s work has been gaining world wide attention over the past several years. He has become so confident in his understandings of how the mind heals the body that he now invites scientists to his workshops. These scientists measure changes in people who attend Dr. Dispenza’s workshops where attendees routinely experience spontaneous healings. 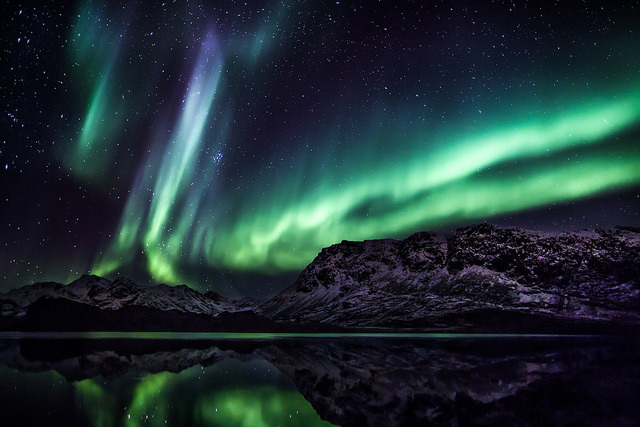 In order for such deep healing to occur, we need to travel into the unknown,…and stay there! Because it is from the unknown that we will manifest new results, not the known. We will discuss how when we venture into the unknown, which could also be thought of as a “sea of potential” , we invite the potentialities that we prefer to form and manifest in our lives. We will shake loose from the rigid patterns we keep re-manifesting each day, and gain some basic scientific knowledge that enables us to maintain belief in the process as we attend to the discipline that is required for things to change. We are blessed to have Pam Madina, sole proprietor of the Yoga Lily lead us in drumming and simple chant to facilitate leading our spirits through meditation into the deep states of consciousness required for transformation and healing to occur. Simple right? Just look around…just look inside…Apparently not so simple! The TRUTH is that things are what they are. Period. Yet it is virtually a universally held belief that they shouldn’t be…or that when they aren’t, they should be…??? In this highly interactive workshop, you will be encouraged to question and challenge everything you think you know about how and why you are getting the results you are getting in your life. Drawing from and diving into an eclectic pool of ancient and modern spiritual wisdom and innovative scientific research – from Rumi to Roland McCraty; from Emmet Fox to Eckhardt Tolle; from the Bhagavagita to A Course in Miracles; from the teachings of the ancient Toltecs to The Beatles and The Work of Byron Katie – we will use play, music, imagination and shared inquiry to explore the challenges and, more importantly the energy shifting and life changing benefits of embracing a deeper understanding and practice of radical acceptance. 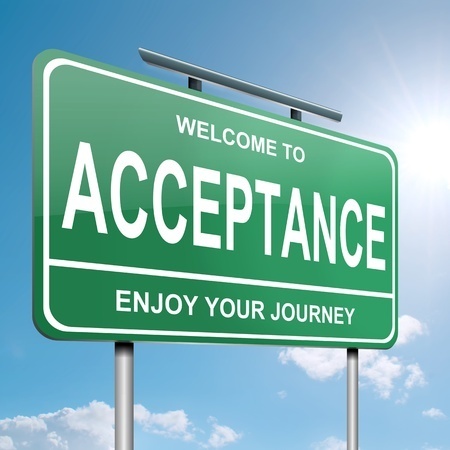 Acceptance is the basis for all effective change…. Acceptance is the starting point for the relief of all forms of suffering, be they physical, mental, emotional or spiritual. Tim has roughly 59 ½ years of experience as a human. He spent 27 or so years being formally educated, culminating with a masters degree in community psychology from Russell Sage College. He has worked for 32 years in a variety of human service settings (children and family services, mental health, substance abuse prevention and treatment) as a helper, change agent, quality assessor and improver, analyst, program developer, innovator, folder stuffer, trainer, “Captain of Fun”, educator, coalition builder, leader, follower, and learner. He began un-learning with some sense of urgency while working in retail management (for a change), where he first realized that you can be who you are meant to be, and do what you are meant to do, with intention and purpose, wherever you are, and regardless of what you are otherwise doing to earn a paycheck. A playful healer, challenger of conventional wisdom, thought shifter, vortex surfer, and unapologetic lover of life on life’s terms, Tim seeks to awaken the innate desire we all have to break free from self-constructed prisons and step freely into authentically living and loving who we really are. 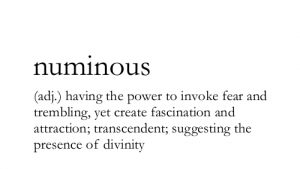 The word NUMINOUS was coined in 1917 by Rudolph Otto, a German theologian and scholar of comparative religion. Otto defined the numinous as a nonrational nonsensory experience or feeling whose primary and immediate object is outside the self. Numinous is defined as “having a strong religious or spiritual quality; indicating or suggesting the presence of a divinity.” Others define numinous as an ancient, strange beauty; something that is spiritual, religious, divine, holy, or sacred; while being mysterious, otherworldly, unearthly, and transcendent. Author, CS Lewis and founder of analytical psychology, Carl Jung, used the word prominently in their writings, which made the word more well-known. Numinous events typically fill us with a sense that we are in contact with something more significant and greater than the individual self or ego. Although, the Numinous is ineffable, numinous dreams and experiences have a lingering presence that stay with us and continue to impact us each time we recall them, and they can often influence us for our entire lives. Being able to live a life that makes room for the Numinous, seems to bring us back to that sense of awe and wonder we had as children, and infuses life with greater energy and bliss. Unfortunately, many pop-culture media experiences, bottom-line business practices, and even many religious rituals can make little room for the numinous…which can lead to feelings of emptiness, despair, and powerlessness. NUMINOUS programs are designed to help access the space in your own consciousness that is a reliable reservoir for well-being and wonder. 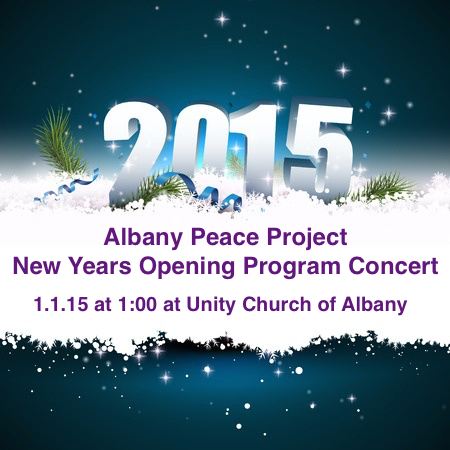 The Albany Peace Project will be kicking off it’s month of meditations starting January 1 with an Opening Program Concert at Unity Church of Albany at 1:00 PM on New Years Day. Last year it was standing room only, so come early and hear great music, sing uplifting songs, and learn how the Albany Peace Project has been inspiring the city of Albany to meditate, in the school system, in the community, in prison and even law enforcement is inspired. You don’t want to miss it! 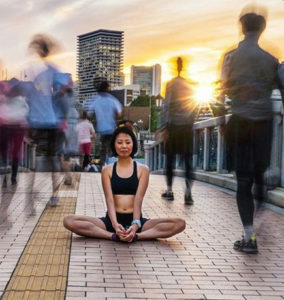 The Albany Peace Project is a 10 year research project designed to determine if an organized group of trained meditators creating a “coherent state” in their bodies and then focusing peaceful intention outwardly can measurably reduce local violence. Our hypothesis is that focused peaceful intention has real world impact, and dozens of prior research studies suggest it as well. We are gathering evidence to determine if this approach can positively impact Albany, NY by gathering individuals who either already practice meditation or would be willing to receive free training via the internet to learn specific meditative skills designed to bring the nervous system into a state known as “coherence” which facilitates personal well-being, clarity, excellent decision making and optimal performance. We all have access to this gorgeous coherent space within ourselves, we just need to learn the reliable skills that enables it to emerge. 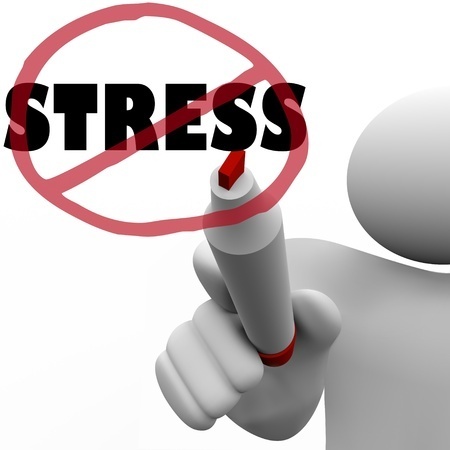 The Albany Peace Project will offer you the specific skills to obtain coherence…for FREE! Karin Reinhold, PhD, Professor of Mathematics at SUNY Albany, will review the violent crime history from the Albany Police Department to determine if we our peaceful intentions have had an impact. Prior research suggests the more people who participate, the greater measurable impact. This is an historic opportunity to vote with your heart and have it measured! We need your vote! Start the New Year off right by setting an intention to invoke the well-being and happiness that is already in you each day in January 2015. You will be amazed at how this work transforms your life. We will explore and experience the truth about conflict and suffering, and how to experience the Divine Love and Peace that we are, no matter what is going on around us. With practice, we can go about our daily lives silently and quickly eradicating any uncomfortable thoughts, sensations or feelings and experience the truth of who we are, AS the difficulties are playing out. This is Freedom. Bonus: You will also receive printed Conflict Resolution Protocol to work through even the most difficult challenges in relationships!